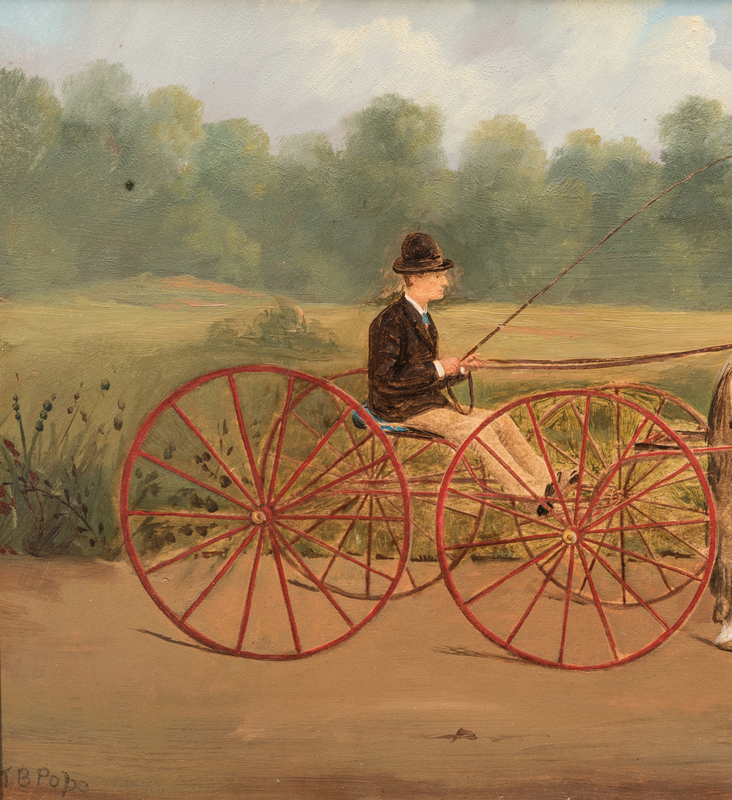 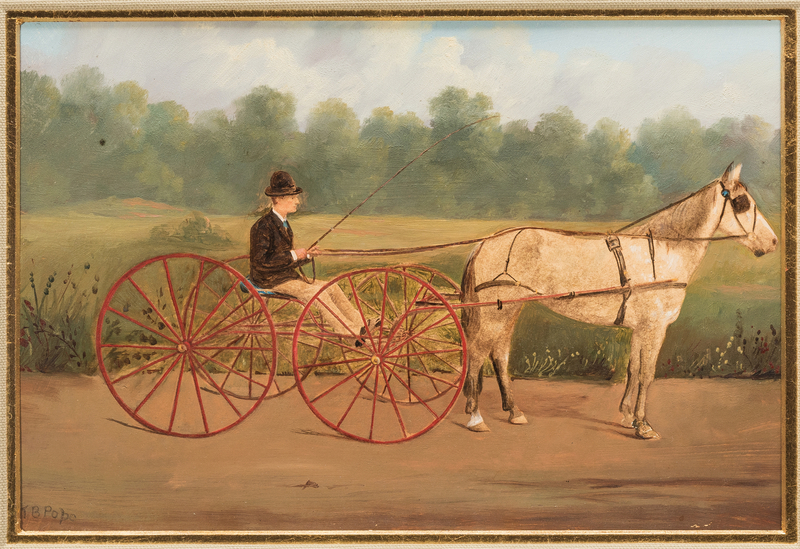 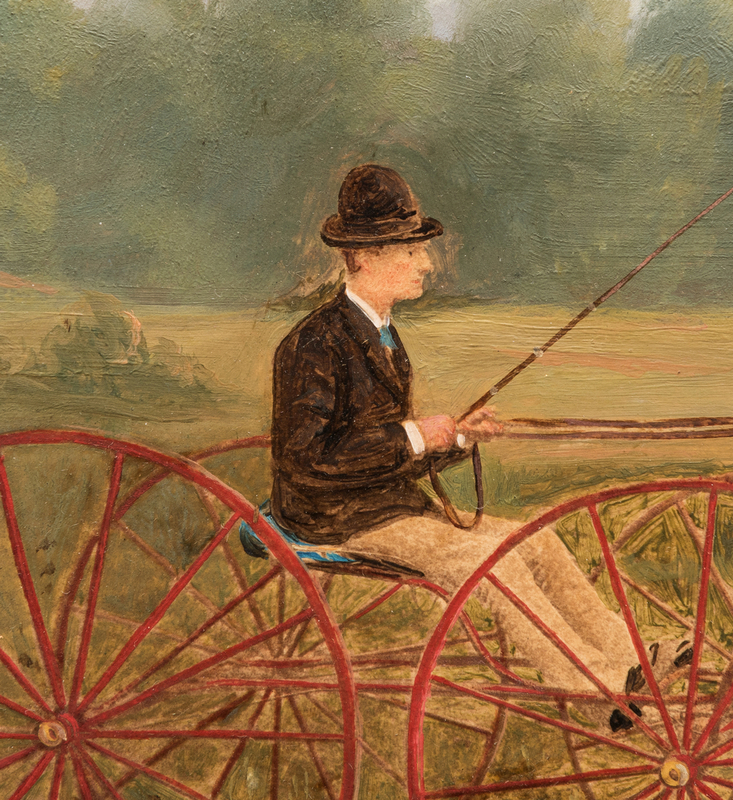 Thomas Benjamin Pope (New York, 1834-1891) oil on board painting depicting a gentleman in a bowler hat seated in a four wheeled buggy and holding the reins of a cream colored horse on a dirt road, foreground, a field, tree line, and cloudy blue sky, middle and background. 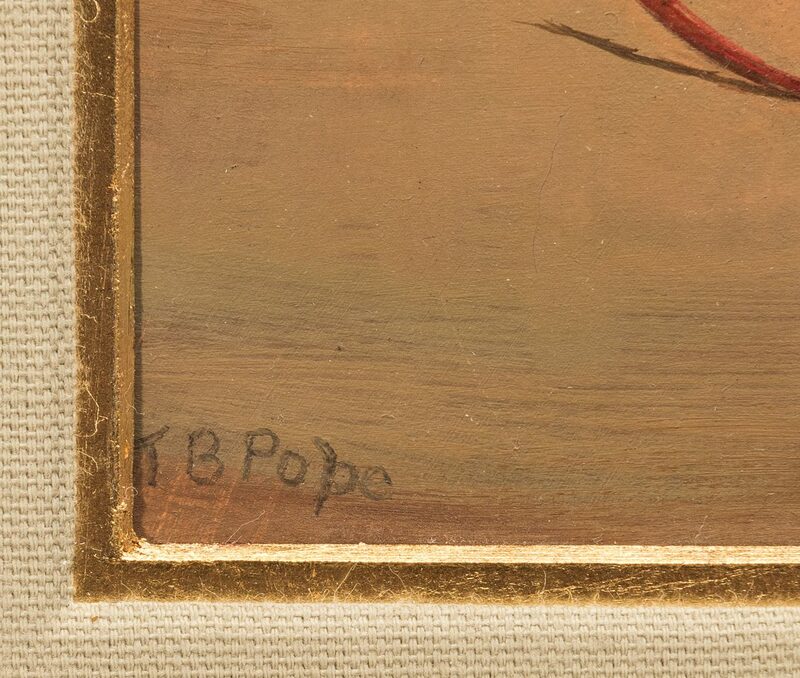 Signed "T. B. Pope" lower left. 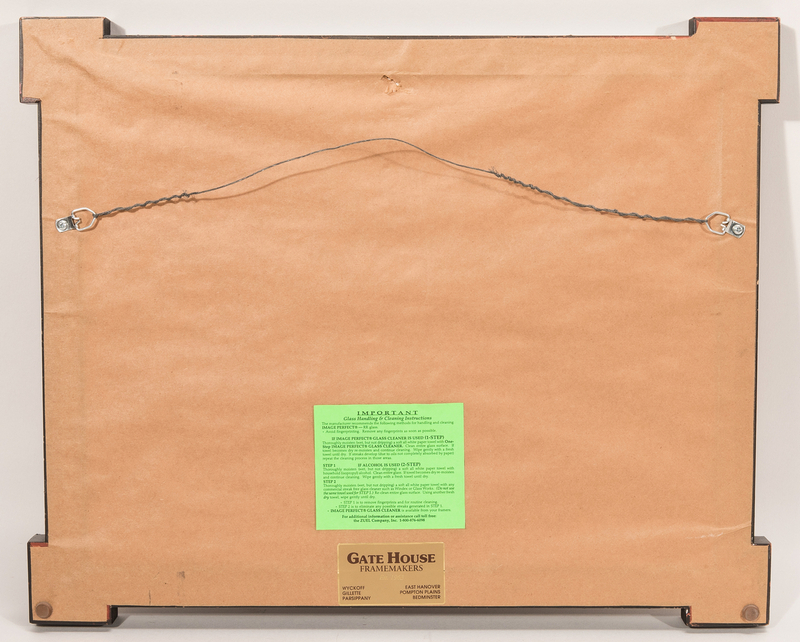 Gate House Framemakers label with glass instructions, en verso. 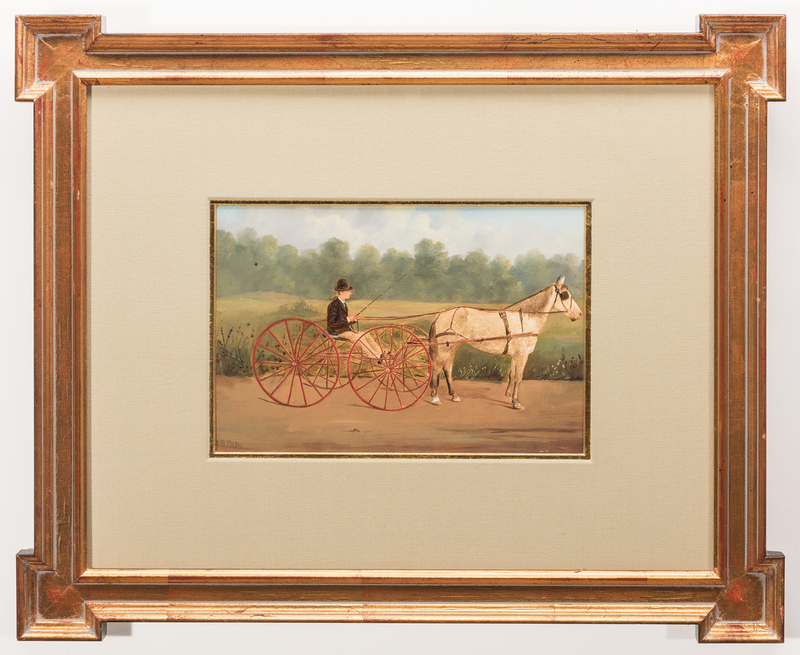 Housed under glass in a gilt wood key corner frame with grey linen matte and gilt rabbet edge. 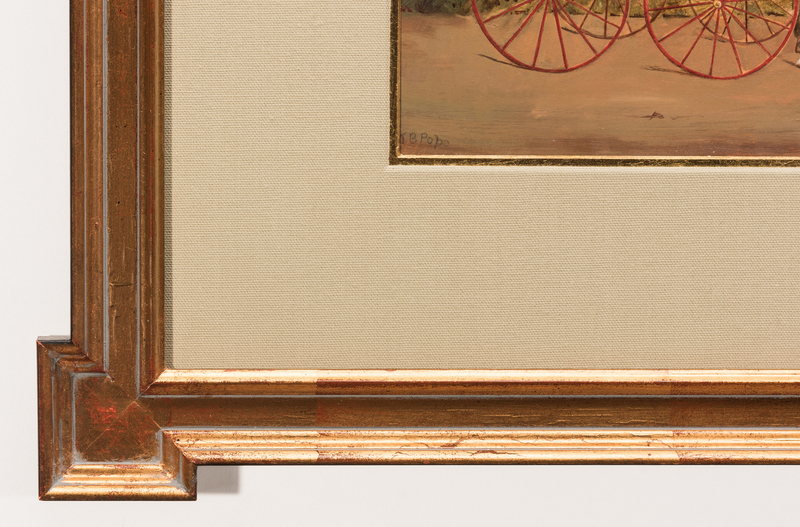 Sight – 7" H x 10 1/4" W. Framed – 17 1/2" H x 21 1/2" W. CONDITION: Overall very good condition. 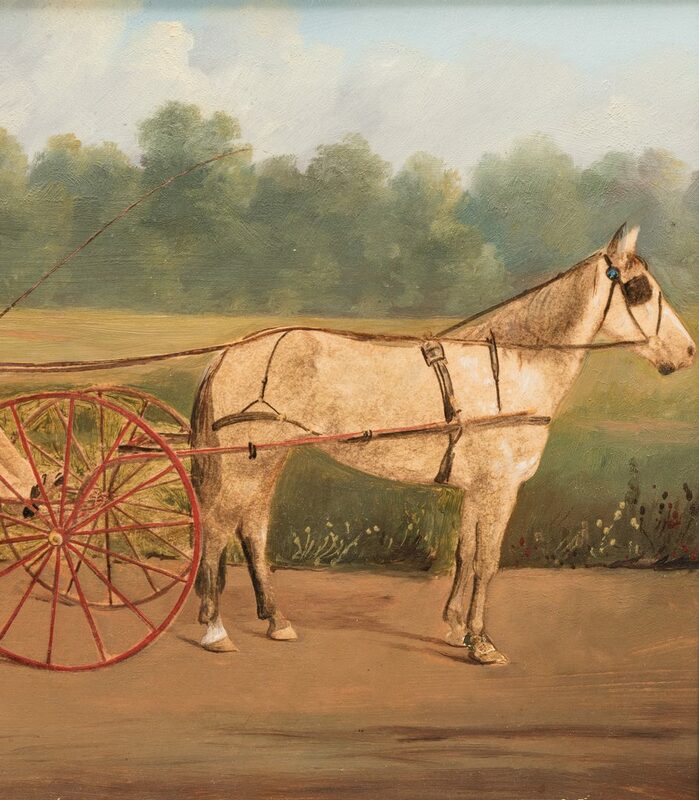 A black accretion, top left.